Church of England leader Justin Welby said while he is "struggling" with the controversial case of a conservative Christian couple pulling their child from school due to the acceptance of transgender students, he indicated that allowing a boy to wear a dress at school is "not a problem." The Archbishop of Canterbury shared his views on LBC radio on Thursday, where he was asked what he would say to Christian parents Nigel and Sally Rowe, who are upset that a Church of England school in the Diocese of Portsmouth is dismissing their concerns regarding allowing transgender children. "I would say to them, I don't think that's a problem," Welby responded, after initially noting that he usually does not comment on such cases, especially considering he is not familiar with the school, the parents or the details of the controversy. "The other family are making up their own minds. The other child is making up their own mind," he continued. "Talk to your child. Help them to understand. Help them to see what's going on and to be faithful to their own convictions." The Anglican leader stated that he was "struggling" with the case, noting that he doesn't know the "whole story." His own children, he noted, went through the local state schools system, which meant there were "bits we liked, and bits we didn't like," adding that "it's the home where you educate and train people in following faith." Welby suggested that the Christian parents should not follow through with their threat of suing the school. "I would say where something like that happens I never see the point in going to law. I think we should try and solve these things without legal involvement, with people getting together around a table, with a mediator, to help them come to a conclusion," he said. The Rowes are preparing for legal action, saying there was no consultation with other parents before the school allowed students to identify as the opposite gender. They also slammed the "shockingly inappropriate" response they received from the Diocese of Portsmouth and the Church of England's chief education officer over their concerns. They told Premier that their son was confused after another boy in class began wearing a dress. "Our children first said 'they're a boy and they're my friend, and now I've got [to] say she instead of he,'" the couple explained, noting that it was not the first transgender case at the school. The school apparently lists "the refusal to acknowledge a transgendered person's true gender e.g. by failing to use their adopted name or using gender inappropriate pronouns" as "transphobic behavior." Sally Rowe argued, however, that the school "should have provided support for the transgender child in a private way with people who are trained professionals ... and who can work through it with that child rather than just let it happen." Mienna Jones, the mother of a child that was born as a girl but now dresses and identifies as a boy, criticized the Rowes for their decision to pull their son from the school over the controversy. "I felt incredibly sad for their children. Second of all, I thought 'my goodness what sort of world is my son going to grow up in?' In this day and age I couldn't believe we still have this level of ignorance and lack of acceptance," Jones argued on ITV's "This Morning" show. She insisted that being transgender is "not a choice." Sally Rowe argued, however, that she wants the debate on transgender issues to be open for opposing voices to be heard, not silenced. "It's like you're shut down, you can't speak what you believe because you'll be called transphobic ... which is not the case, so we just feel it needs to be an open debate," Rowe said. "It needs to be discussed without fear of being ridiculed." The Church of England General Synod passed in July a motion welcoming and affirming transgender people to the church in a controversial move that was celebrated by some top bishops, but criticized by conservatives. 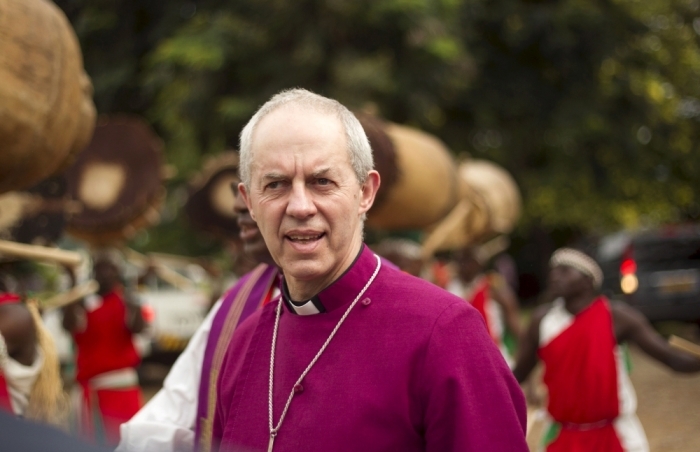 Critics, such as the Global Anglican Future Conference, have in the past warned that in some cases, "the Gospel appears to have been watered down or even denied. Even some faithful clergy do not feel free to give clear teaching on key topics such as sexual ethics or the uniqueness of Christ."